You are currently browsing the tag archive for the ‘great western railway posters’ tag. How neat is this? It’s by budding Cornish design studio Jetty Street Press. It’s like a 21st-century re-imagining of the wonderful Great Western Railway posters, which are well-loved to the point of cliche. There’s even a touch of Hockney’s clean-lined Californian swimming pool in there… offset nicely by the Cornish cliff-side flora. ‘The drawings are developed from doodles in my spare time,’ Sal from Jetty told me. 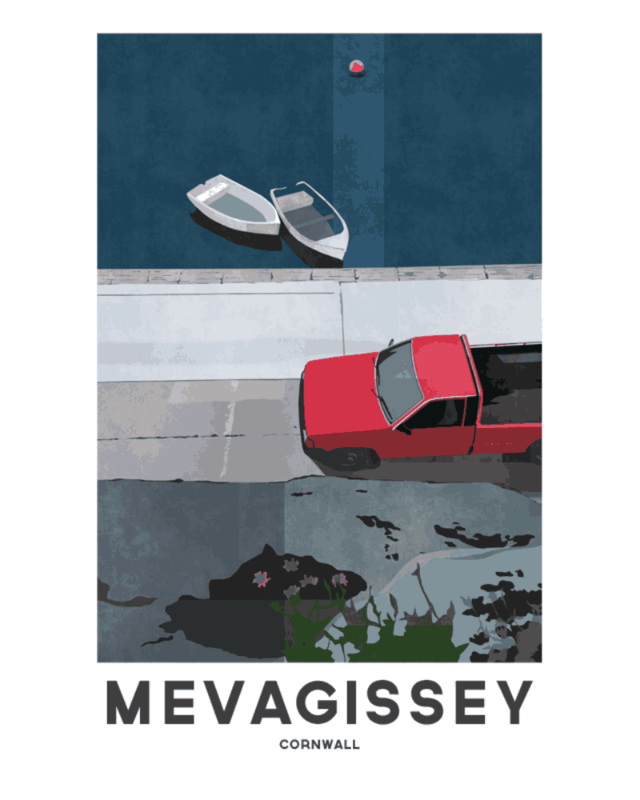 ‘I wanted to create contemporary illustrations of Cornwall without being too twee or sentimental, focusing more at the nooks and crannies of a place not the obvious postcard views.’ Penzance could be getting the Jetty treatment soon… I’ll keep you post(er)ed. Jetty prints are currently for sale in Brocante, Mevagissey; £60 for framed print. Or you can buy directly from Sal at Jetty; get in touch by twitter or facebook; an unframed print is £25 plus postage.